Josh Bilbao joined the Gallatin County Extension Office in 2017. Josh attended college here at MSU where he attained a B.S in Wildlife Management and my M.S in Range Management. He has a history with topics such as, prescriptive grazing, weed management and wildlife habitat improvements. He moved to Colorado after completing graduate school, working for both Boulder County Parks and Open Space and the City of Boulder Open Space and Mountain Parks. He managed ag leases that ranged from large scale cow/calf operation to small acreage organic vegetable farms and just about everything in-between! Kelton Jensen joined the Gallatin County Extension Office in 2014 and works with all 4-H activities. He comes from a long history of 4-H himself participating when he was young. His passion for 4-H turned into a career. As the 4-H agent, he oversees the program in the county and helps it grow and make a positive impact on our local youth. Dominique joined Gallatin County Extension in 2018 after a 12.5 year career in wildland fire management for the USDA Forest Service and the USDOI Bureau of Indian Affairs across the western United States (MT, CA, NV, AZ, WY). 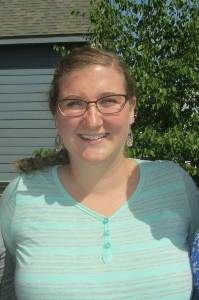 Currently she is involved with the Northern Rockies Coordinating Group Fire Prevention & Education Committee, the Fire Adapted Communities Learning Network- Montana, MSU Climate Science Team as the Chair, and captain of the Climate Science Team's Wildfire Preparedness and Recovery Team. She graduated with a BS Forestry (concentration Range Resources Management) from the University of Montana, and is currently completing courses for a MS Agriculture Education through Iowa State University, as well as the Master Beekeeper Certificate Program through the University of Montana. JaNaie' Veca is the administrative assistant providing assistance to all office agents in their events and programs. She supports 4-H new families in providing information and training both recorded and in person. Her technical skills help keep the websites, facebook, youtube, newsletters, and much more up-to-date and innovative. JaNaie' joined Gallatin Extension in 2013.